Power over Ethernet (PoE) is a technology that integrates power into a standard LAN infrastructure. It enables electrical power to pass safely, along with data, on Ethernet cabling. to a network device, such as an IP phone or a network camera, using the same cable as that used for network connection. It eliminates the need for power outlets at the endpoint device locations. The result is lower cost, less downtime, easier maintenance, and greater installation flexibility than with traditional wiring and enables easier application of uninterruptible power supplies (UPS) to ensure 24 hours a day, 7 days a week operation. 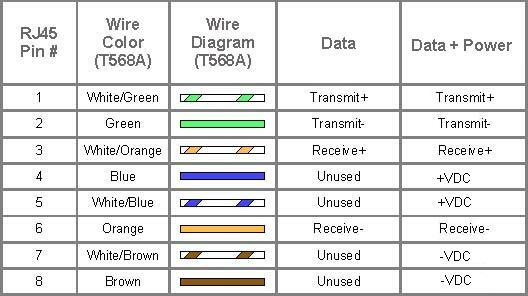 PoE technology is regulated in a standard called IEEE 802.3af and is designed in a way that does not degrade the network data communication performance or decrease the network reach. 802.3af specifies the ability to supply an endpoint with 48V DC at up 350mA or 16.8W. The power delivered over the LAN infrastructure is automatically activated when a compatible terminal is identified, and blocked to legacy devices that are not compatible. This feature allows users to freely and safely mix legacy and PoE-compatible devices, on their network. No special cabling is required. PoE works across standard network cabling (i.e. cat-5) to supply power directly from the data ports to which networked devices are connected. Today, most manufacturers offer network switches with built-in PoE support. If an existing network /switch structure is in place, customers can benefit from the same functionality by adding a so-called Midspan to the switch, which will add power to the network cable. All network cameras without built-in PoE can be integrated in a PoE system using an Active Splitter.